The most interesting thing from that page, however, is links to various presentations given by those sites on how they architected their sites to scale with MySQL, some of them scaling up to hundreds of MySQL servers. I recently looked at using various encodings for hashed UIDs, e.g. UIDs generated by a crytographic hash algorithm such as SHA-1 or MD5. These are often useful when the UID does not need to have human meaning but should exhibit some uniformity, such as character set and length. I considered Base64 and hexadecimal first because they are commonly used by crypto libraries and then decided on Base64 and Base32 where appropriate. Base36 is actually the most compact case insensitive encoding (using Arabic numbers and Roman letters) but is not an option for me at the moment because there's no Perl module for it that will take arbitrary text and binary input at the moment. Math::Base36 exists but only handles numbers. I picked up a copy for Fortune Magazine's Secrets of Greatness: Teamwork! issue for the flight to YAPC::NA. There was an insightful article on MySQL. 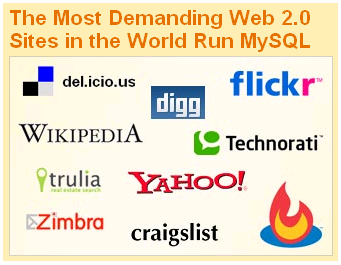 MySQL has 350 workers in 25 countries and 70% of them telecommute. This structure has led to some hiring practices contrary to the norm in other organizations. Employee characteristics: Given the decentralized nature of its organization, MySQL for skills, not the ability to play nice with a team. Finding talent: MySQL finds some of its talent (50+ employees) through open source cntributions to its code base. Others also look for developers among those that actively check in good code. question: How do you plan your day? While working late at night seemed common when I was in college, when I got to the workplace many developers seemed to work a regular schedule leaving around 5-6pm, albeit in a regular office environment as opposed to MySQL's telecommuting environment. Do you like to work at night and is it common to come in "late" and work late at places other than MySQL? Also, in a non-telecommunting situation, is this mostly for developers without kids? If you do have a start late / work late schedule, why do you like it and what time to you tend to start work? I'm giving Typo a shot after hearing some good things about it and having performance problems at a hosted blog service. It's been pretty good so far. Let's see how it runs in action. I'm currently using the Lucid theme. So far I've played with Azure (the default), Lucid and Phokus. The default font size seems smaller than normal on other sites. Let me know if it's too small or there are other issues. Up until now, my wiki has been the only app at this domain. I'm leaning towards putting commentary, questions, short summaries and the like in the blog while the wiki would still contain reference type information. To that end, I put up some detailed Typo install instructions covering MySQL, Apache, lighttpd and FastCGI on the wiki. Right now it just covers installation as I'm just getting into customizing the template. Let me know what you think.